The aim of Lahti’s primary school culture programme is that every pupil should attend a cultural event at least once a year and be able to describe the experience. For schools the programme provides a complete service in accordance with the curriculum, taking their needs and resources into account, e.g. if transport for a cultural visit is required. Every pupil has an equal opportunity to experience the city’s cultural facilities. In addition, teachers are provided with material to use when preparing for visits, during the visits themselves and to help manage the cultural experience. Teaching materials include information about e.g. the concert, musical work, composer, orchestra – and tasks for the pupils to perform related to the concert. These tasks can be done before or after the concert, and are suitable also for use in other contexts, not only music lessons. 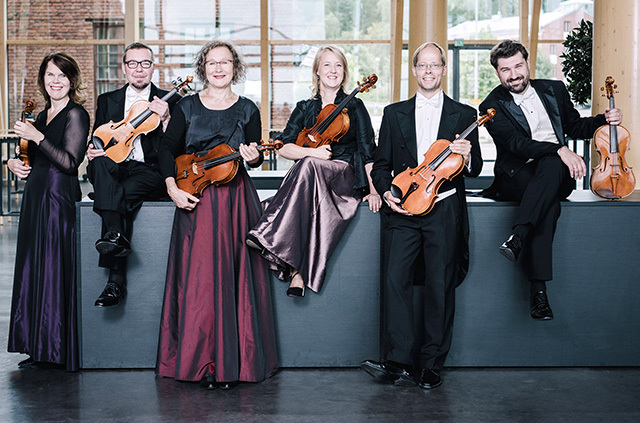 The Lahti Symphony Orchestra participates in the cultural programme for Lahti secondary schools, the aim of which is to allow pupils and teachers to make use of the municipal culture department’s range of activities as part of the curriculum. Secondary school pupils can attend the Lahti Symphony Orchestra at a discounted ticket price of €5. Teachers also qualify for this discount if they attend the concert together with a group of pupils. To obtain tickets at the secondary school price, the pupil must have proof that he or she attends secondary school in Lahti, either a ‘Kulttuurimobiili’ app or a membership card from the Union of Upper Secondary School Students. N.B.! On the day of the concert reservations cannot be made, but tickets can be purchased directly from the Box Office.